It's not always the obvious settings that matter. If you've lived with mobile devices for long enough, you've likely had that moment when you received a low-battery warning well before the end of the day. It's more than a little worrying, especially if you're far from home. But how do you wring the most out of your remaining battery life in those situations -- or better yet, avoid those problems in the first place? You don't always have to rely on your phone's low-power mode. We've compiled a slew of tricks that can extend the longevity of your smartphone or smartwatch, and they're not necessarily obvious -- in many cases, it's as much about discipline as it is flicking the right software switch. No matter which phone or watch you own, it's best to start with the basic settings for your display, GPS, sound and wireless connections. They're easy to change, and the improvements in battery life can sometimes be dramatic enough that you don't need to do much else. Your screen brightness could easily be the most important factor. It's tempting to crank the brightness up to ensure you can see your display in all lighting conditions, but that's bound to sap a lot of energy. Whether or not the brightness is on auto mode, you'll want to dial the setting down to where it's just enough for you to comfortably see what's on-screen. And leave auto brightness turned on as a general rule: Your device is usually a good judge of when to dim the screen or ramp things up. You may also want to lower the screen-timeout interval, since you rarely need to leave an idle phone awake for minutes at a time. Some devices will have additional display options that can lengthen your battery life, although they can vary widely. Phones like the Galaxy S8 and Galaxy Note 8 have options for lower resolutions, for example, while the Razer Phone lets you reduce the refresh rate. 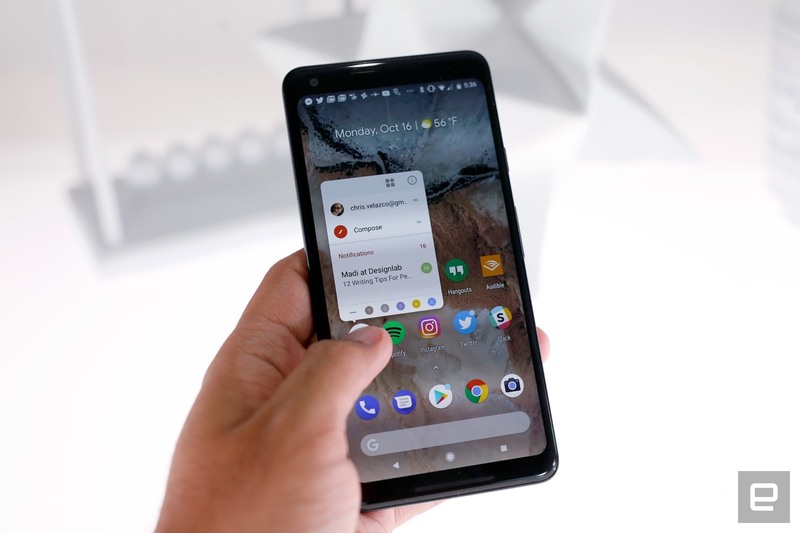 And if your hardware has an always-on display feature (such as on numerous Android phones, Android Wear watches and Samsung's Gear line), turn it off unless you really want at-a-glance information. GPS also tends to be a battery killer, and gadget makers know it -- they've implemented many ways to scale back positioning or disable it entirely. On Android, you can typically change the location settings to limit tracking to "low accuracy" (WiFi and Bluetooth but not GPS) or "device only" (GPS alone). On iOS, you can turn off location sharing or force apps to only use location info when they're active. And if you're wearing a smartwatch, you can sometimes disable it in specific situations. With the Apple Watch, for instance, you can use its companion iPhone app to turn off GPS during workouts. Wireless connections can also waste energy, although you'll want to think carefully before switching them off (they're essential to phones and watches, after all). Bluetooth is usually the easiest to address: If you don't need it for accessories like smartwatches or wireless headphones, keep it off. After that, it's trickier. You can turn off WiFi when away from home, but that will chew up cellular data and hurt location accuracy. There's also airplane mode (which shuts off all wireless connections) if you need it, although it's really more of a last resort than an everyday solution. Smartphones and smartwatches are designed for always-on connections, and you only want to take them offline if you don't intend to use them for long stretches of time. There's only so much you can do with cellular service, however. You can turn off cellular data altogether if you're sure you won't need it away from WiFi, but it's usually better to disable features that consume data in the background, such as iOS' Wi-Fi Assist (which uses your cell data when your WiFi connection is poor) or app-specific cellular-data use. And no, dropping to slower speeds (such as from LTE to 3G) won't usually help. What energy you save may be lost simply because downloads will take more time. Sound and haptics don't usually play a significant role in your battery life, so don't worry too much about keeping your device quiet or vibration-free. Those are more matters of etiquette and personal preference than energy savers, since they're rarely active for long enough to make a difference. If hardware-related tweaks weren't enough, your next step is to rein in the behavior of your apps. Some programs are particularly chatty by default, and that can be a problem when you have dozens of them on your phone or watch. Before you do anything else, you should ask whether or not you need a given app in the first place. It's tempting to install legions of apps "just in case," but the odds are that you'll only use a fraction of them on a regular basis. Do you really need notifications from an app you rarely ever use? Get rid of the apps you haven't touched in months or those that are just as easily replaced by a website. That can even include social networks like Facebook (whose app tends to be large battery drain) if you're not in a rush to check someone's status update. While individual apps aren't usually battery hogs, they can add up if they're performing background tasks. Whichever apps you decide to run, you'll want to limit notifications. They may only pop up on your screen for a brief moment, but receiving dozens of notifications per day can repeatedly wake up your screen and run down your battery. Whether you're using Android, iOS or a smartwatch, you can go into your settings and either turn off all notifications for a given app or scale back the alerts you get. On Android, you can set notifications to "show silently," and with iOS, you can individually disable lock screen appearances, banners and sounds. Pruning your notifications will keep your device quiet until you genuinely need it, and it could spare you from information overload in the process. Some apps have their own notification settings, too, and it's a good idea to review them to limit alerts to those you care about. You probably don't need to know every time someone likes an Instagram photo or Twitter post -- keep the notifications to essentials like mentions or direct messages. This not only saves battery but also helps you sort through the clutter to find the notifications that matter. In addition to notifications, there are sometimes background processes beyond location tracking that can have a small impact on your device's lifespan. Do you actually use "Hey Siri" or "OK Google" activation? If not, disable it. While it shouldn't significantly hurt your battery life, there's no point to leaving it on if you're just as happy pressing a button to talk to an AI assistant. Apps that fetch data on a regular basis, such as email clients and weather utilities, also tend to have options for how frequently they retrieve new data. If you don't need always need to see the latest message or forecast, slow the update interval down to whatever you're willing to tolerate. Just don't worry about closing apps when you aren't using them. 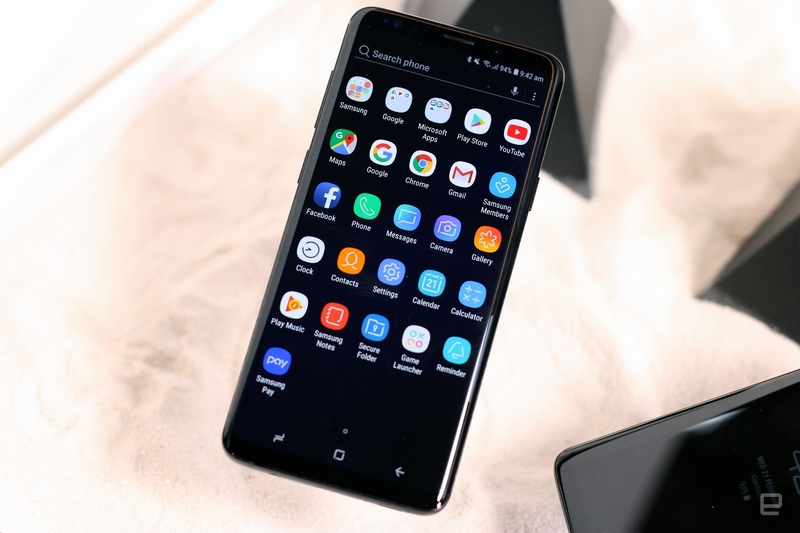 Modern mobile operating systems like Android and iOS are usually diligent about suspending apps after they've gone unused for several minutes, and they shouldn't use significant battery power unless they're performing background tasks like music playback or uploads. You might even hurt your battery life by closing apps, since you're forcing them to load fresh on subsequent launches instead of quickly loading them from system memory. We know, we know: It's no fun to curb your device habits, especially if you love chatting with friends or documenting your life with photos. However, it's always good to review your usage patterns if settings changes aren't helping. Thankfully, this doesn't always mean using your device less often. It's a good idea to reduce media streaming when you can. That constant wireless-data use tends to murder your battery no matter which app you're running. If you can, play files offline. Services like Apple Music, Spotify Premium, Netflix and Hulu all have the option to cache media on your devices -- and if you prefer permanent copies, you can always buy downloads from stores like iTunes. You can even save music on smartwatches (Apple Music on an Apple Watch, Spotify on watches like Samsung's Gear series) if you'd rather not play music from your phone while going for a run. You can help your battery life by limiting your uploads, for that matter. Some cloud services, such as Apple's iCloud Photo Library and Google Photos, have options to restrict uploads to those moments when you're on WiFi (or sometimes only when you're plugged in). If you can afford to back up your files when you get home, why not? Likewise, it might be better to save big manual uploads like concert videos until you're near a charger. Yes, there are times where the best option is simply to restrain yourself. Intensive games (particularly 3D titles), continuous GPS navigation, livestreaming and video chats can be extremely taxing on your device's power pack, and there's not much you can do to rein them in. You don't have to avoid these apps entirely, but it's smart to budget your time so that they don't eat more electricity than necessary. You might only want to play a game for 10 minutes, for example, or turn navigation off during the last leg of a trip. Should you try everything on this list and still run into trouble, you have a couple of last-ditch options. Check the health of your battery, whether it's with an app (iOS 11.3 and later have battery health built in) or by contacting technical support. If you've owned a device for long enough and use it often, there's a real possibility that the battery has worn out to the point where it holds a significantly reduced charge. A fresh battery will usually cost you money, of course, but that expense beats having to recharge every few hours. And if that doesn't work? If you're otherwise happy with your device or only occasionally run out of juice, consider getting an external battery pack (Anker, Belkin and Mophie are a few of the more common manufacturer options -- I use and enjoy a Mophie pack myself). While they're seldom cheap and can sometimes be bulky, they can easily prove worthwhile if they give you a few extra hours of use on a long day. Just be sure to balance the capacity you want versus the bulk you're willing to tolerate. As much as you might want to get a gigantic battery that could power your devices through an entire weekend, that behemoth could quickly become a burden when you only need an hour or two at most.